A winter blast on a late Spring morning in April. A typically Scottish welcome to the high moorland road that spans Dundonnell and Braemore Junction. Behind that abandoned old house are the mountains of the Fannich and An Teallach range. 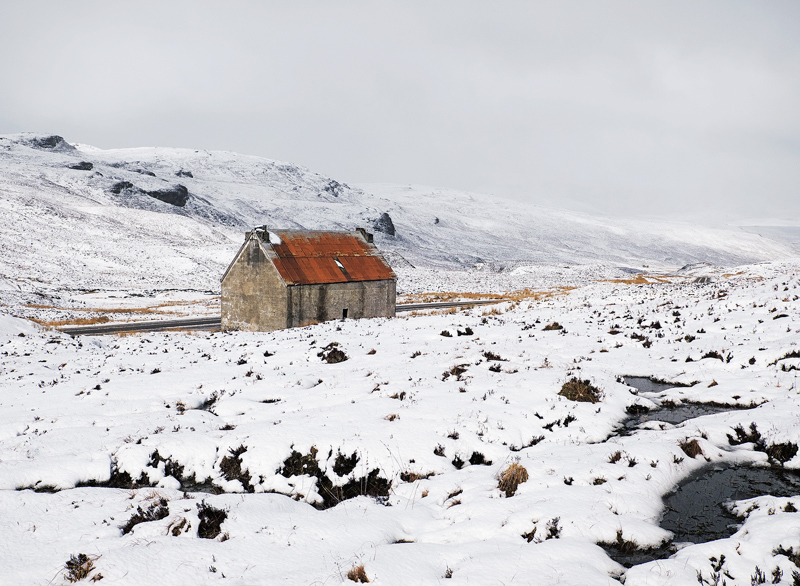 The rusted red roof of the building providing a welcome splash of colour in an ortherwise monochromatic winter landscape.